The Lincoln County Process is, today, a slow leaching of new-make whiskey through a tall vat of ground maple charcoal. Its leading practitioners, Jack Daniel’s and George Dickel, then barrel the spirit in new charred oak for four to five years, similar to how Kentucky bourbon is made. Since Jack Daniel’s and George Dickel otherwise mash and ferment in a way similar to Kentucky, the only difference from bourbon is the maple charcoal treatment, a multi-day process which has the effect of taking out some fusel oils and other compounds from the whiskey. The burned wood might contribute some flavour as well, this is controversial. Earlier, I discussed a 1908 survey of the Lincoln County Process, which showed essentially that the same process is followed today. The account of 1908 stated that after the charcoal treatment, the spirit was barrelled and put away to age. Implication: from that point the whiskey was aged similar to a Kentucky bourbon. However, something must have changed between about 1860 and 1908. It is almost certain that the Lincoln County method originally meant the whiskey was sold right after the charcoal filtering or a short barreling period which followed. There are a number of reasons to conclude this. First, charcoal leaching was a 19th century technique used in many places to rectify whiskey for immediate sale. It was a quick way to cleanse the spirit, imperfect (vs. the goal of neutral spirits) but satisfying the market. The whiskey so treated was distilled either in a pot still or the transitional multi-chambered still known as the two- and three-chambered still. It produced spirit at a relatively low proof, under 190 U.S., and often under 160 proof as for straight whiskey today (or tequila, heavy rum, or brandy). The relatively heavy congener content of such spirit meant there were two ways to modify the taste: long aging in barrels, or intensive filtration through a vat of wood charcoal. Tiny apertures in the charcoal fragments would capture oils and other impurities in the spirit, rendering it more neutral in a word. 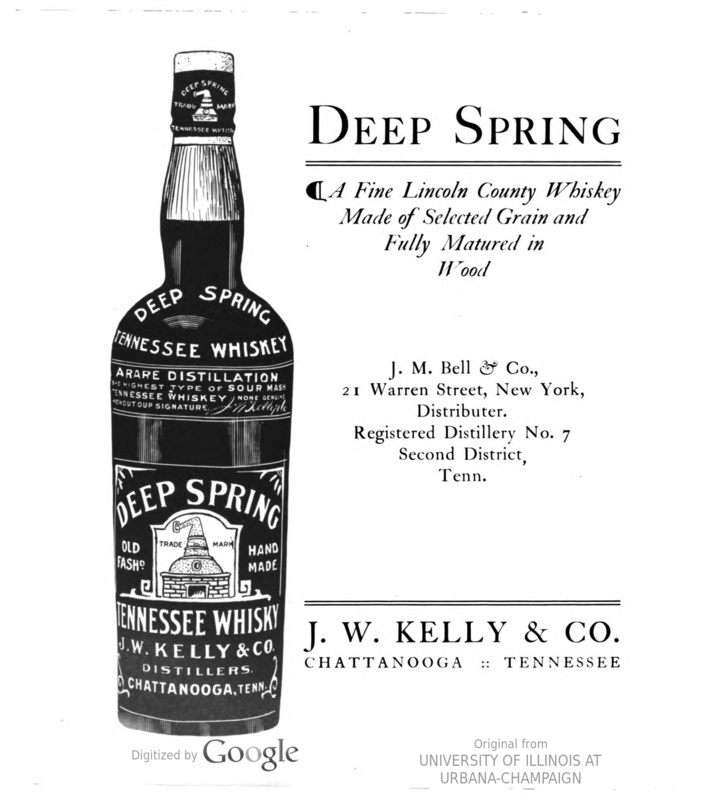 Kentucky increasingly was known for multi-year barrel aging, indeed this became a hallmark of “Kentucky whiskey”, or bourbon, as we know it today. But elsewhere in the U.S. and Canada, such aging was in its infancy. The “red cretur” bourbon of Oscar Pepper near Frankfort, KY, devised with the help of Dr. James Crow, was probably 4-7 years old on the eve of the Civil War. But in many places, straight whiskey was sold off the still or following the aforementioned charcoal treatment. In an engineering publication from Pennsylvania in 1866 the writer gave a condensed but accurate description of whiskey-making. Sweet and sour mashing are described in a way familiar to Kentucky distilleries. But in regard to aging, the matter was simple: there wasn’t any. The spirit was filtered in wood charcoal and wool blankets in a way similar to the Lincoln County Process, then “colored” and sold. A variant of the Lincoln County Process used wool layers with the charcoal, George Dickel does it to this day. Caramel generally was used to impart colour, or burned raw wheat. Most whiskey in the mid-1800s was sold this way but Kentucky pioneered laying the product away in new charred barrels in warehouses for years. … when you come down to the matter referred to by our friends from Kentucky, I think anyone who has tasted that beverage will concede great superiority to Lincoln County whiskey. (Laughter and applause). And, moreover, people down our way don’t fool time away by allowing it to age, either. (Laughter). We know a good thing when we see it. A gentleman asked me just now if I had anything with me. It was a leading question, for you know the Tennesseans like the Kentuckians, always have something with them. (Laughter). When a man travelling in a railroad car asked if any gentlemen had a corkscrew two or three jumped up and said yes, and they were all from Kentucky. The banker’s joshing reference to Kentucky whiskey was meant to vaunt his own state’s produce – or the Lincoln County version – despite its lack of aging in comparison. This doesn’t mean Jack Daniel’s, which dates from 1876*, followed that procedure, as about the time the banker spoke, it was recorded Jack Daniel’s was red in colour. But clearly a lot of Lincoln County Process whiskey was still unaged in the 1890s – or not held in barrel very long – to give any meaning to the finance man’s remarks. In 1862 in Toronto at Gooderham & Worts, the famous distillery which later merged with Hiram Walker in Windsor, ON, new whiskey was filtered carefully through charcoal vats which appear very similar to Lincoln County ones. Tanya MacKinnon, in her classic (2000) economic geography of early Ontario distilling, included an illustration of the vats from a contemporary article in the forerunner to the Toronto Globe & Mail. She states the whisky was distilled in a column still newly-installed in the 1850s, and brought to “50 OP”. This is about 85% abv or 170 U.S. proof, 20 points under what is needed for neutral spirits. It was then aged between two months and a year, not very long by the emerging standards of Kentucky, but then the spirit in Canada at least was cleaner to begin with: 170 U.S. proof is outside the range today to distill Kentucky bourbon, 10 points outside. By the later 1880s, Gooderham and Worts were able to dispense with the charcoal vats as they had the capacity to distill spirit to “alcohol” or 95% abv if they wished. The newer stills provided the flexibility which the rough-and-ready charcoal vat never achieved. We can infer banker Latham’s Lincoln County whiskey was similarly little-aged in 1896 and probably was under 160 proof to boot. But today, Jack Daniel’s and George Dickel whiskey are taken from the filtering tubs, put in new charred casks and aged 4-5 years (Dickel has a somewhat wider range). It isn’t clear when the surviving makers of Lincoln County whiskey in Tennessee – local prohibition became state-wide in 1910 – combined their method with Kentucky’s, in effect. (I am ignoring here 1870s boundary changes which meant for example that Jack Daniel’s distillery is now in Moore County). Perhaps it was a time when methods took root locally for whatever reason and didn’t travel due to poor roads and communications. Or perhaps loyalty to local methods trumped all else. Whatever the explanation, the charcoal leaching by “Jack” and what became “George” has become regarded as a local (Tennessee) surviving practice of a distinctive nature. In fact, the method was widely used at one time although not apparently in Tennessee outside Lincoln County, and not to any great extent in Kentucky from what I can tell. Perhaps the method was brought into Lincoln County, Tennessee from the Northeast or the U.K., took root amongst distillers there but never penetrated much elsewhere in Tennessee, or Kentucky. I incline to this after much reading. Lincoln County whiskey is less distinctive today since its main exemplars, Jack and George, also receive full Kentucky-style aging. But there is probably a craft distiller in Tennessee making whiskey cleansed in maple charcoal and sold right away***. I’d like to try it. Pritchard’s, an early craft distiller in Tennessee, makes a whiskey called Tennessee whiskey but the Lincoln County process is not used. Pritchard’s received an exemption under the recent state law which requires that the Lincoln County Process be used in order to label the whiskey, Tennessee whiskey. *According to the biographical entry for Jack Daniel in History of Tennessee published in Nashville in 1886, Jack Daniel was born in 1848, was “always … a farmer”, erected his distillery in 1876, and began operating it in 1878 under the name Daniel & Call. The distillery is noted as producing “some of the finest brands” of Lincoln County whiskey, which suggests (to me) some was aged and some not. There is no reference, in this account, to Jack Daniel conducting or learning any distilling prior to 1876, which does not mean he did not, of course. ** I will have more to say about this whiskey soon. Kay Gaston in 1999 wrote a short account of the county’s whiskey-making history in the Tennessee Historical Quarterly, however I am not able as yet to obtain the text. Other information is available online which I will discuss soon, however. I should say too it appears charcoal was used to rectify Robertson County whiskey, no less than Lincoln County’s. For what it’s worth, Roberston is the older county, founded in the 1790s, while Lincoln County was founded in 1809. 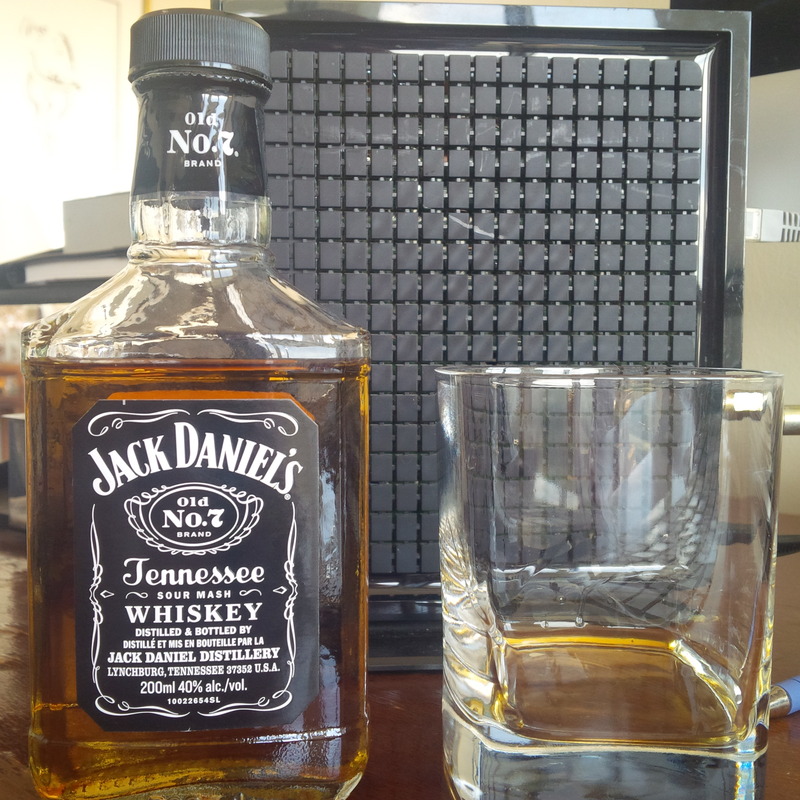 *** Jack Daniel released in 2012 an unaged (white) rye spirit distilled under 140 proof. Images of the brand as well as other iterations of Jack Daniel’s rye can be viewed at this liquor retailer’s site. I tasted the white rye and found it very “white dog” or congeneric, i.e., despite that it was subjected to the maple charcoal leaching system.